as of about half an hour ago, the forkenswift floor is fixed! 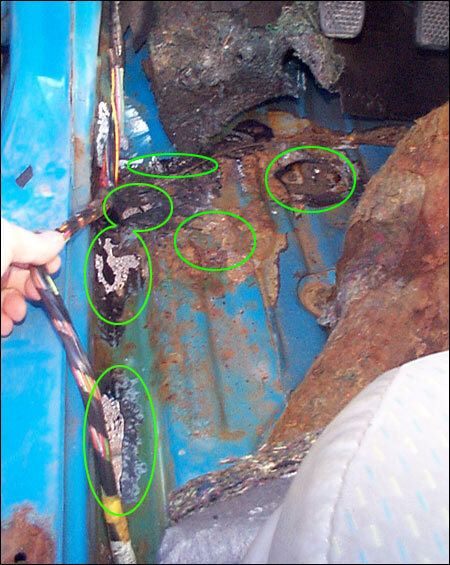 looking back through this thread, it's funny to read my changing assessment of the floor in this car: when i first looked underneath, i said there were "no holes! 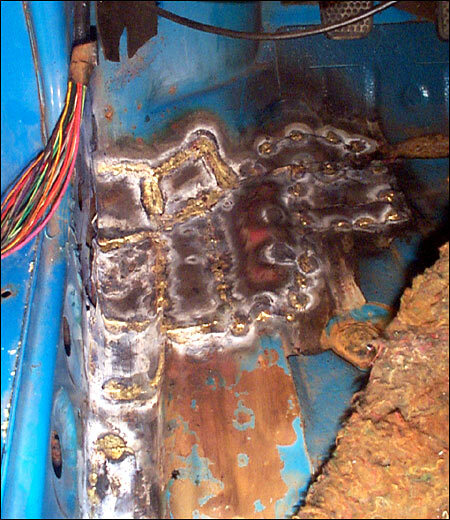 ", then it was one hole, then two... amazing what amount of rust you can uncover with a grinder and a torch. there are 2 more holes to fix under the hood: the inner fender walls ahead of the strut towers. that'll take about half an hour. all together, i probably spent about 10 hours on the brazing (including set-up & clean-up on 4 different days). when i tallied it up, i thought, man, i could have just worked another 10 hours and bought a better car! but then i immediately realized i enjoyed my time spent learning to braze more than i would have enjoyed 10 hours of work.